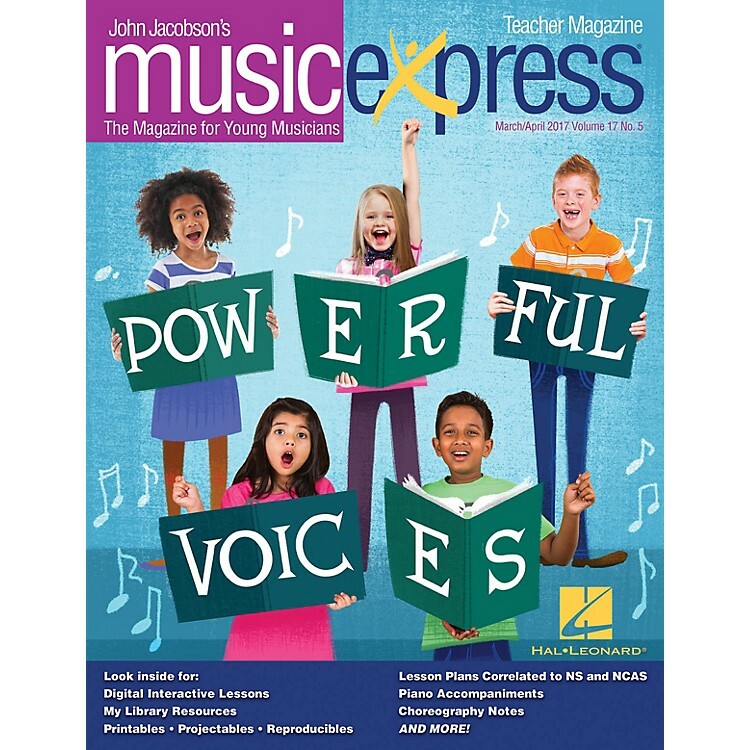 Get on board the Music Express with this essential resource for general music classrooms and elementary choirs. Join John Jacobson and friends as they provide you with creative, high-quality songs, lessons and recordings that will keep students engaged and excited! This March/April 2017 issue includes: Powerful Voices, Try Everything (from Zootopia), We Know the Way (from Moana), Spotlight on Polynesian Drumming, Musical Planet: Japan, Ame, Ame, Listening Map on Theme from Superman (John Williams), Pay Me My Money Down, The Music Show: It's About time, plus many more songs and activities in the teacher magazine!